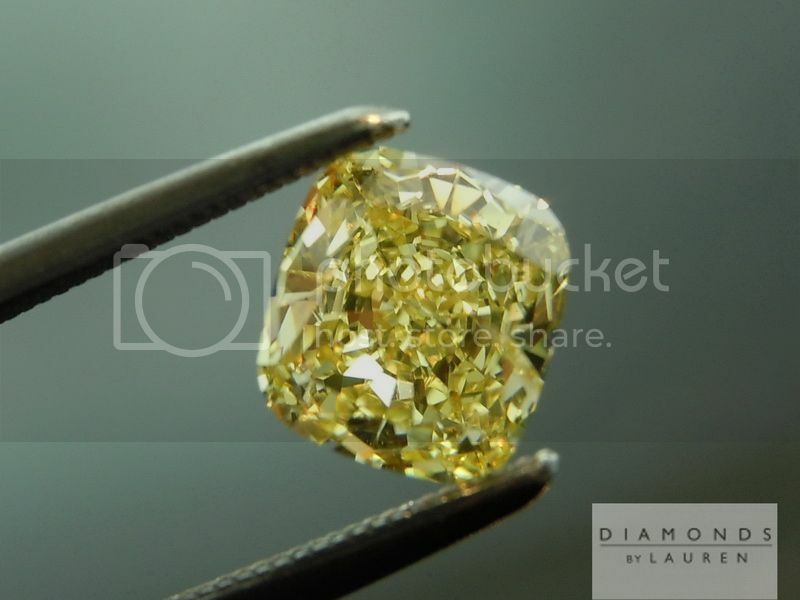 Here is another of our hand picked, awesome I1 diamonds. I love them because the price is just so amazing. Well, I also love the ones we pick because they are so well cut. 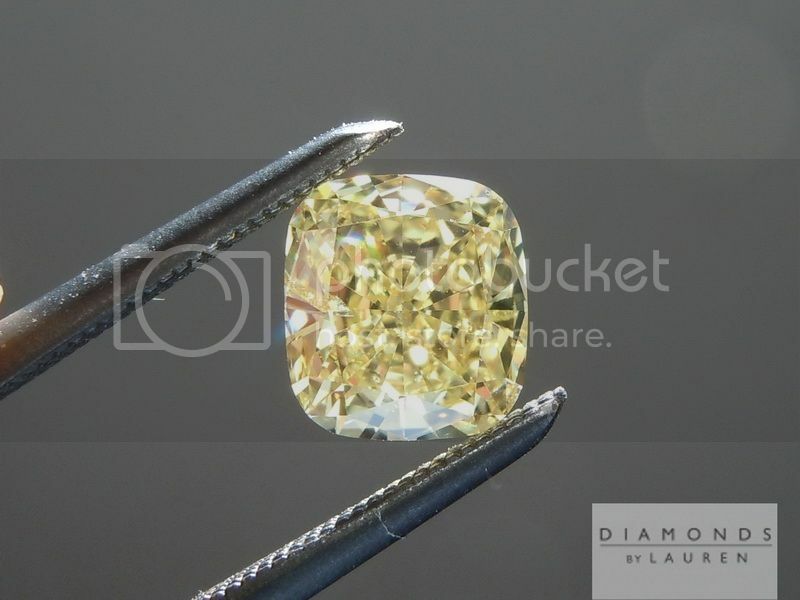 It's well known that "cut is king" and indeed, even in fancy color diamonds, cut is extremely important. The cut of this stone is beautiful. 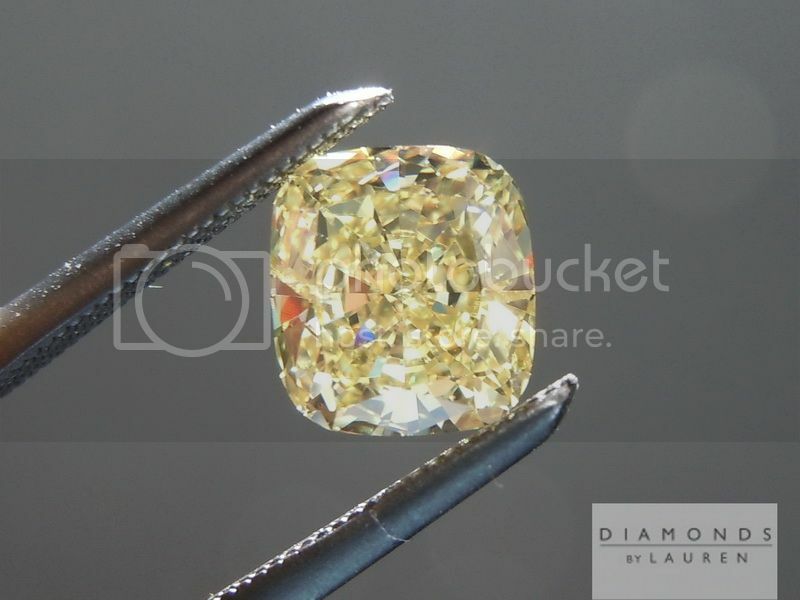 The diamond has a good size for the weight. The outline is very pleasing, and the color is broadcast in an even manner. There are no black carbon whatsoever. You can see the imperfection in the photo below just above the 9 o'clock position. In real life, neither the imperfection itself, nor the reflection of it presents any sort of problem. The cut is designed to bounce the light around - the thousands of tiny flashes is what catches your eye - so much so that you cannot notice the imperfection. 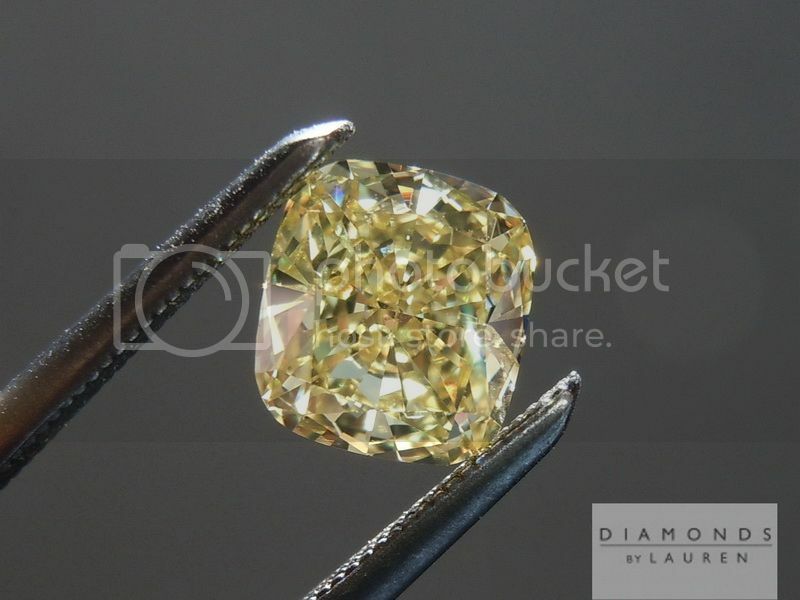 Medium Blue Fluorescence is a wildcard in Intense Yellow diamonds. In the worst of cases, it distorts the color - bringing in green, or brownish elements. Medium blue can also impact brilliance and transparency in a big way. In the best of cases, Medium Blue has no impact on brilliance whatsoever- and is even difficult to detect in direct sunlight. In the very best of cases, Medium Blue Fluorescence can actually increase the yellow in an Intense Yellow. 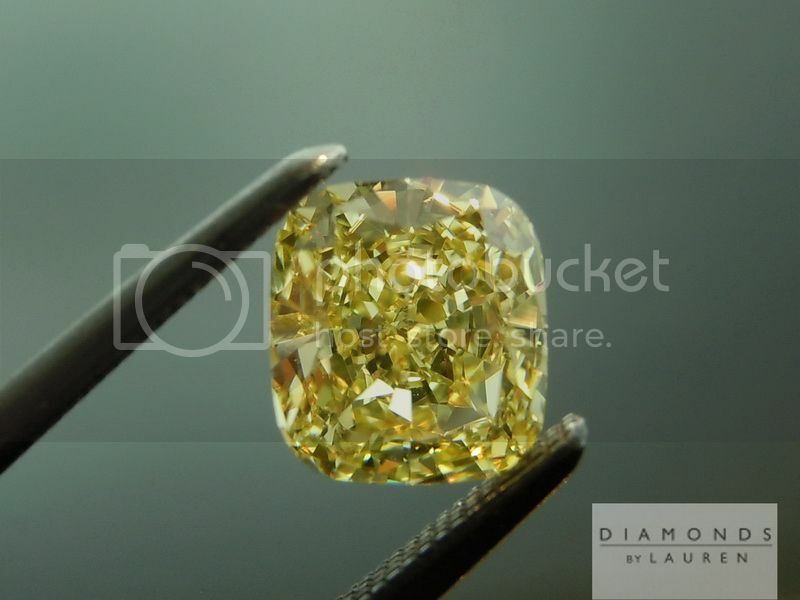 This stone is the best of all cases in its fluorescence. That's why the color is so great. 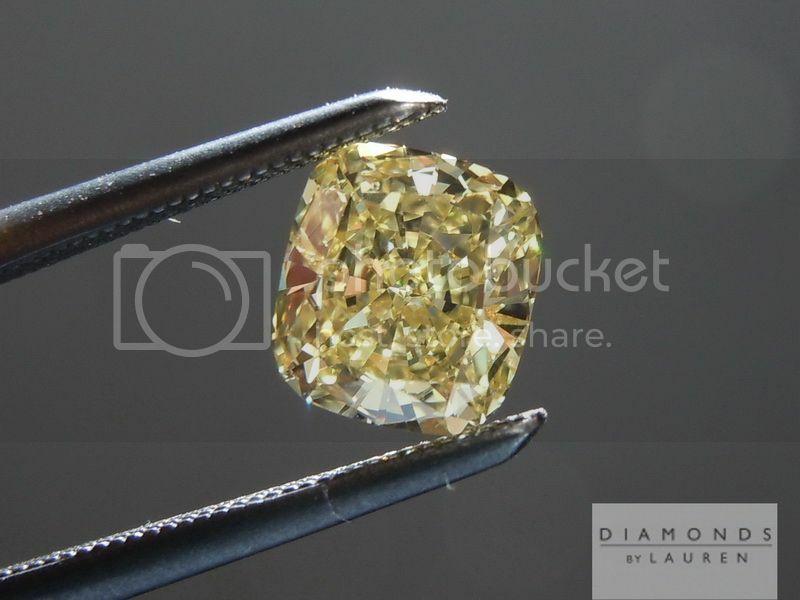 Currently offered loose, but please contact us to consult with one of our design specialists to select the best semi mount, and we'll make the ring of your dreams.